VMware vForum 2010, Santiago, Chile: Site Recovery Manager and HP P4000, practical demo. Programming languages: PERL, C, Bash, PHP, et al. Hardware Platforms: HP ProLiant, HP BladeSystem, HP Integrity, DELL PowerEdge, IBM eSeries. 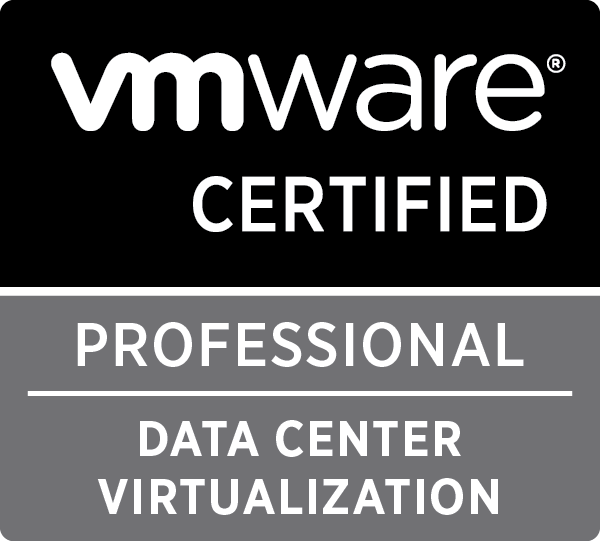 Virtualization Platforms: VMware from ESX 2.0 to vSphere 5.0, HP Integrity Virtual Machine, RedHat Enterprise Virtualization. IT Professional with more than 15 years of experience on diverse technologies. During these years has been involved in several projects on different technology areas, ranging from infrastructure implementation, deployment, automation and design of mission critical systems, through design and implementation of virtual desktop solutions. Strong leadership abilities, technology resource management, flexibility, self-learner, ability to deal with stressful and complex situations. Broad range of technical knowledge including hardware, operating systems, database systems, applications and networking. Systems Engineering (Presales) position, working directly with VMware partners. Main responsibilities include partner enablement, training, event speaking. - Presales engineering, architectural design, implementation and migration of the messaging solution for the Republic of Ecuador's presidential office. Worked as a consultant for Sync Technologies, doing the whole project for the migration of the presidential office messaging solution, from MS Exchange 2010 to VMware Zimbra. The project was completed in 25 calendar days, from architecture design to go-live. - Troubleshooting and consulting jobs for Red Hat, technologies included Red Hat Enterprise Virtualization, Red Hat Enterprise Linux, VMware vSphere, IBM Weblogic. Professional Services Consultant for the VMware Zimbra division. - Zimbra implementation and customization for TELUS (www.telus.net). 1500000 user accounts across 5 Datacenters, part of the implementation was doing a complete branding and revamping of the Ajax and HTML user interfaces. - Zimbra implementation, and install script customization for United Healthcare (www.uhc.com). Part of the initial work involved doing a customization of Zimbra install scripts to deal with centralized LDAP environments, those changes were included in a subsequent version of the product. - Architectural review and implementation of Zimbra solution for Alder Hey Children's Hospital (www.alderhey.nhs.uk) and Liverpool Women's Hospital (www.liverpoolwomens.nhs.uk), including migration design from Exchange 2007 and Groupwise. - Advanced troubleshooting for Waukegan Public School District, and Ecuador's Ministerio de Salud Pública Zimbra environments. Languages used by applications that must use the SSO platform: ASP, ASP.NET, Java, PHP. - Design and implementation of server farms used for development, quality assurance and testing of applications. Responsible for train the institution teachers on Linux subjetcs. Integrate Unix as an obligatory course of CS Engineering career. Tutoring of several graduation projects involving technology such as HPC clusters, Linux provisioning and automation, Administration tools for managing web filtering. Speaker in workshops and seminar on Unix and Linux and all the University campuses located in 26 locations across Chile. Teacher of Operating Systems course. Responsible for the implementation of provision and management of dial-up user accounts. Configuration and implementation of internet services for users. All the internal systems of the company were programmed using BASH and PERL.